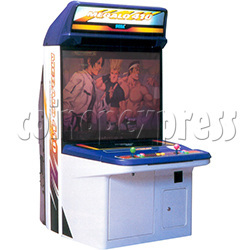 Megalo 410 is a multi-purpose two-player arcade cabinet released by Sega. Unlike its siblings in the Megalo series, the Megalo 410 does not allow players to sit down. It is also compatible with the Sega Model 3 board.